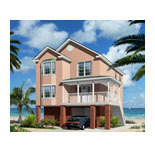 by Howard Associates - Architectural Renderings, Architectural Hand Painted Renderings. At Howard Associates, the art of communicating architectural concepts is the essence of our business. We are committed to providing the highest quality architectural renderings, on time, and on budget. When you give us an assignment, we become a member of your team, responding to your leadership and architectural rendering presentation requirements. 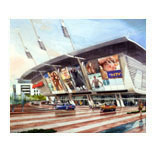 Hand Painted Architectural Renderings by Howard Associates, Inc.